AMD’s formula for Ryzen has been consistent across the product stack – offer more cores or threads than Intel’s competitors at a given price point. 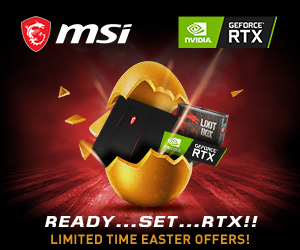 That formula has translated into a strong product stack that looks particularly competitive around the £150-£300 price points with Ryzen 5 and the Ryzen 7 1700. 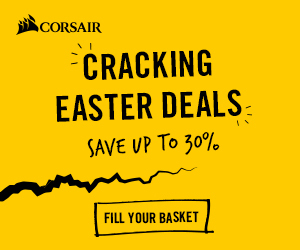 However, upwards of £150 is still a sizeable chunk of cash to invest in a CPU especially when Intel has solid lower-cost offerings in the Core i3 and Pentium product range. That’s exactly where Ryzen 3 comes in. Taking on Intel’s Core i3 CPUs in the £100 to £130 market segment, AMD brings to the table a true quad-core chip to go against Intel’s dual-cores with Hyper-Threading. 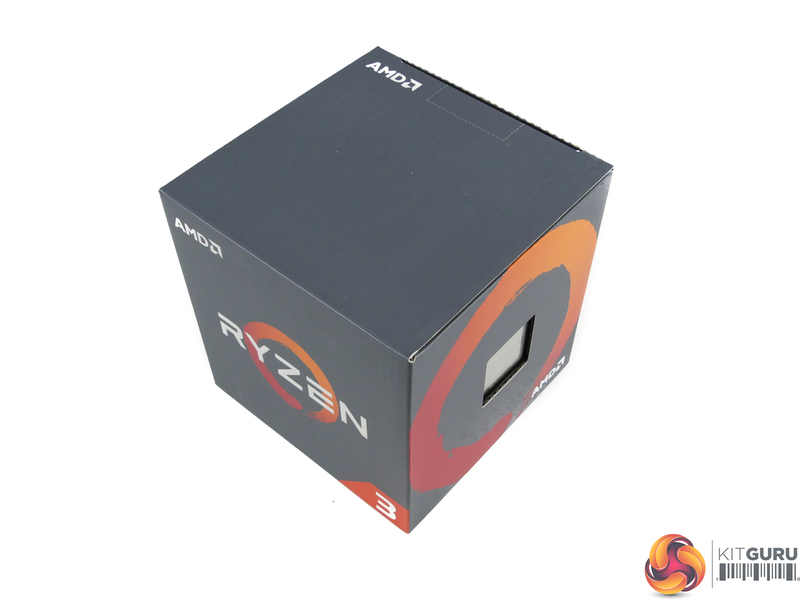 There are slight variations for Ryzen 3 compared to AMD’s higher-end models. 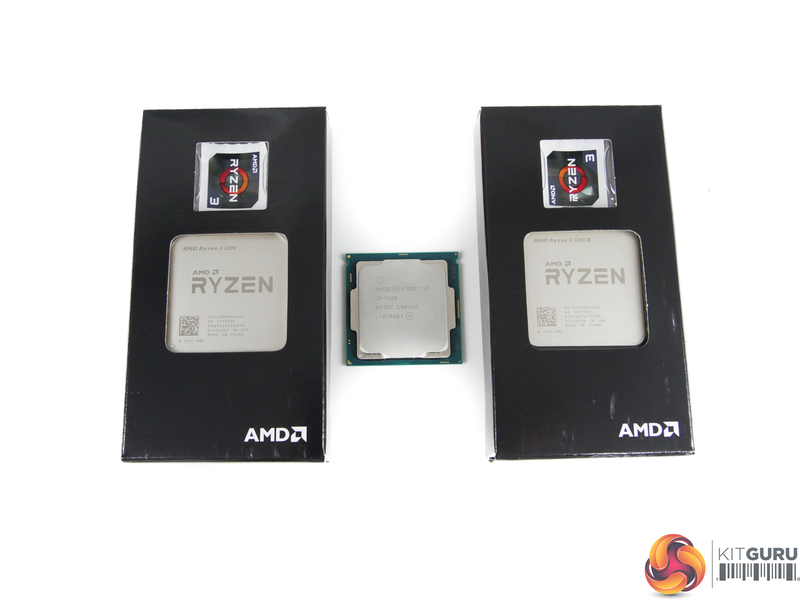 Most notably, the Ryzen 3 1300X and 1200 are the first of AMD’s new chips not to feature Simultaneous Multi-Threading (SMT). That means you get a straight four-core chip which also features four logical threads. Other than SMT support, the rest remains largely similar. An unlocked core ratio multiplier allows Ryzen 3 overclocking in 25MHz increments on specific AM4 chipset motherboards. That’s a clear positive for AMD, as tinkerers who enjoy overclocking are left with the choice between Ryzen 3, locked Core i3s, or the over-priced Core i3-7350K. Despite its flaky stability at launch, high-speed memory support has turned into a positive for the AM4 platform as we move down the price order. Logical partnering motherboards for Intel’s Core i3 CPUs tend to be B250 or H270 options which support a maximum DDR4 memory speed of 2400MHz and do not permit overclocking. 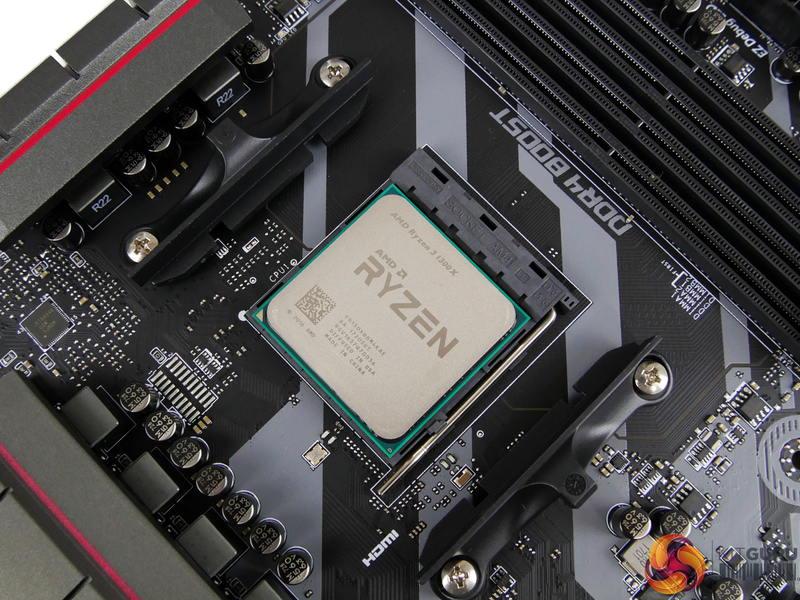 By comparison, Ryzen 3 can be used on similarly-priced B350 or A320 motherboards that can support DDR4 speeds in excess of 3GHz when overclocking, or up to 2666MHz by default. Features-wise, PCIe 3.0 x4 NVMe SSD and 10Gbps USB 3.1 Gen 2 support straight from the CPU or chipset are positives for Ryzen 3 and the AM4 platform. 10Gbps USB connectivity is a rarity for sub-£100 Intel motherboards though most tend to offer PCIe NVMe or SATA M.2 connectivity through the 200-series chipset. One clear disadvantage for Ryzen 3 is its lack of iGPU compared to Intel’s competitors. Firstly, it is clear that a Ryzen- and Vega-based APU will be coming. 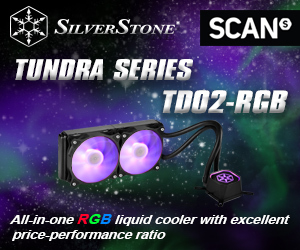 However, to users who simply want graphics functionality for basic display tasks or troubleshooting redundancy or to occasionally enter the GUI of their (primarily) headless server, Intel offers the better solution at this price point. The basic GPU baked onto the Core i3 CPUs allows for the aforementioned tasks to be completed without significant investment and chip resources being put into well-built graphics cores (as is the case with APUs). AMD deploys Ryzen 3 in a 2+2 CCX configuration without SMT enabled. Coupled with its 0.5MB of L2 cache per core and 8MB of total L3 cache, Ryzen 3 is pretty much a Ryzen 5 1400 without the four extra threads. You still get the same 16+4+4 PCIe Gen 3 lane configuration and the chips use Global Foundry’s 14nm manufacturing process. 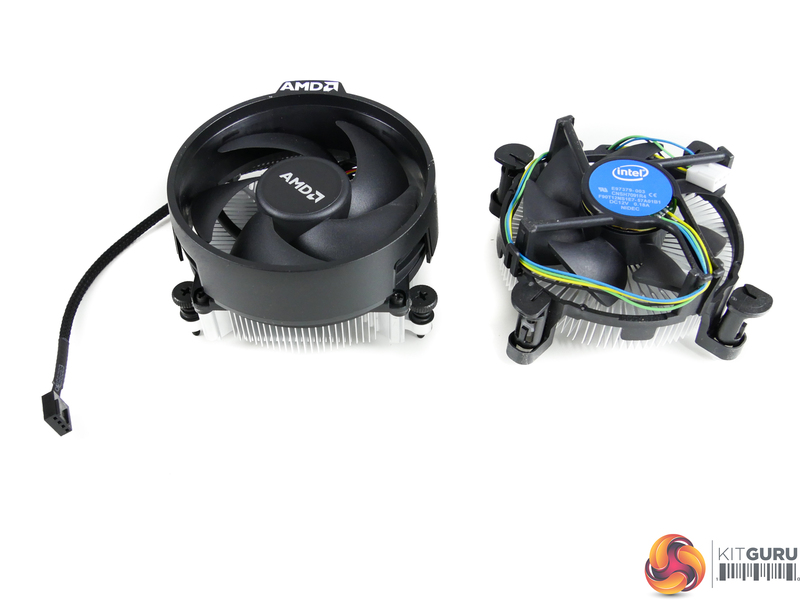 Where the 1300X and 1200 differ is their out-of-the-box clock speeds. The £125 1300X ships with a base clock of 3.5GHz but will operate at 3.6GHz with all cores loaded and can boost up to 3.7GHz on two cores. Comparatively, the Ryzen 3 1200 has a 3.1GHz base and all-core boost frequency but can go as high as 3.4GHz on two loaded cores. XFR headroom for the 1300X chip is 200MHz and for the 1200 it is 50MHz. 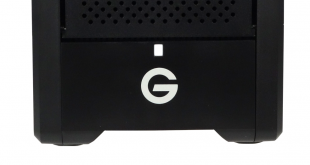 That takes their maximum single-core frequencies up to 3.9GHz and 3.45GHz, respectively. Clock speeds for Ryzen 3 look competitive compared to the multiplier-locked Core i3 competitors. Of course, that’s before taking overclocking into the equation as we would expect these lower-end Ryzen chips to show the same 3.8GHz-4.1GHz all-core frequency as their higher-priced silicon family. It is known that Intel generally has an IPC lead with its Kaby Lake chips, but the clock frequency advantages seen for unlocked Core i5s and i7s are simply not present for the £100-130 Core i3 offerings. With all this talk about Ryzen 3 versus Core i3, it would be rude to ignore Core i3’s biggest competitor from Intel itself – the Kaby Lake Pentium line-up. Unlike previous Pentium chips which were straight dual-core designs, the $64-93 Kaby Lake Pentiums (G4560, G4600, G4620) are dual-core, four-thread options which leverage Hyper-Threading. That makes them, more-or-less, Core i3s under another moniker with lower clock speeds and a bargain price. The 2C4T Pentium G4560 is the most popular of these Kaby Lake Pentium chips and looks to be a major thorn in AMD’s side due to its $64 MSRP (which has actually climbed to around £80 currently due to stock shortages). It will be a tough task for even the lower-cost Ryzen 3 1200 to beat out the Pentium in terms of value. Perhaps that’s more of a fight for even lower-cost Zen-based CPUs/APUs soon. Somewhat surprisingly, the TDP remains set at 65W for Ryzen 3. That’s a reasonable number for a full-fat quad-core but it is noticeably higher than the 51W Core i3 competitors. AMD’s Wraith Stealth cooler is given the task of managing heat output from the Ryzen 3 parts. Compared to the Intel E97379-003 reference cooler shipped with multiplier-locked Core i3 and Core i5 CPUs, the Wraith Stealth looks to be a solid competitor. AMD’s part uses a physically-larger aluminium fin array though Intel’s competitor uses a smart y-shaped radial fin design to enhance its surface area despite the small fin stack. AMD also uses a thicker, 5-blade, 92mm fan enclosed within the tall shroud as opposed to Intel’s thinner, 7-blade, 80mm blower housed in an open chassis. Clearly, Intel’s physically-smaller offering may be more appealing to small form-factor (SFF) users. 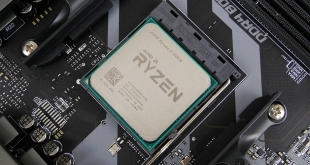 However, the screw-in mounting system on AMD’s Wraith Stealth is likely to appeal to system builders who are wary of shipping computers using Intel’s push-pin cooler. 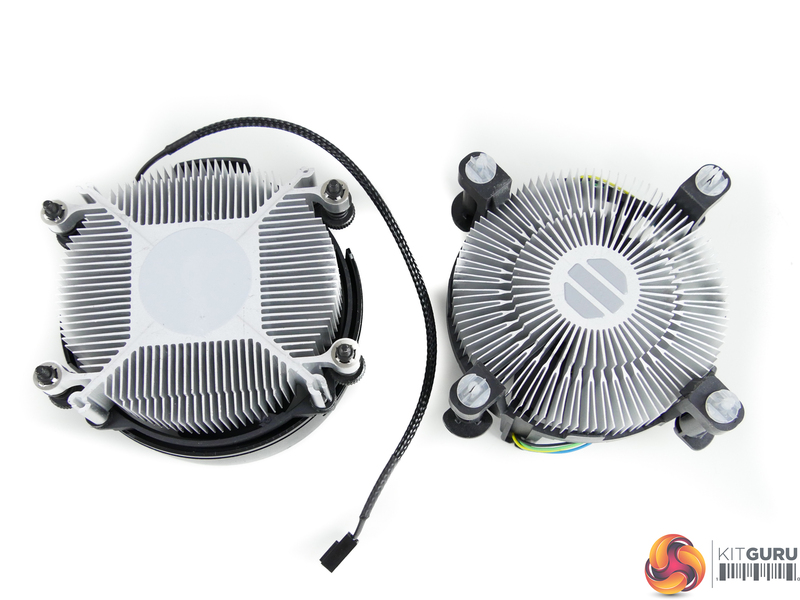 Of the two alternatives, I would personally be more inclined to opt for the AMD cooling solution in my own system. 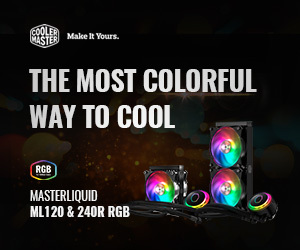 The slightly larger fan should be able to offer effective cooling at slower rotational speeds, while the braided black cable and overall styling add premium touches that are simply not present with Intel’s function-first solution. 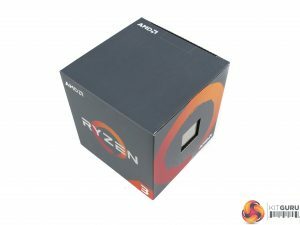 That covers most of the main points for Ryzen 3 and its market position to compete with Intel’s Core i3 offerings. Let’s move onto performance capabilities of AMD’s new lower-cost chips.